In an exclusive interview, Apple's CEO talked with Fortune senior editor Betsy Morris in February in Kona, Hawaii, where he was vacationing with his family, about the keys to the company's success, the prospect of Apple without Jobs, and more. Here are excerpts. "We do no market research. We don't hire consultants. The only consultants I've ever hired in my 10 years is one firm to analyze Gateway's retail strategy so I would not make some of the same mistakes they made [when launching Apple's retail stores]. But we never hire consultants, per se. We just want to make great products. 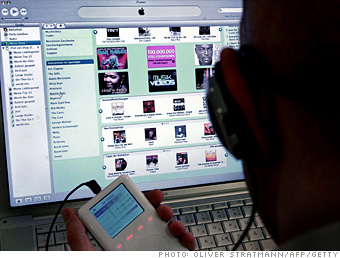 "When we created the iTunes Music Store, we did that because we thought it would be great to be able to buy music electronically, not because we had plans to redefine the music industry. I mean, it just seemed like writing on the wall, that eventually all music would be distributed electronically. That seemed obvious because why have the cost? The music industry has huge returns. Why have all this [overhead] when you can just send electrons around easily?"